In color and black and white. Full of layers or just raw emotion. Looking head-on at the camera or off into the distance. Our Mobile Monday flickr group has been seeing pretty portraits popping up lately. How about you? Have you been shooting other people or yourself lately? Wow! So much to look at here, thanks Holly. Gorgeous portraits from all!! What a great collection of portraits. 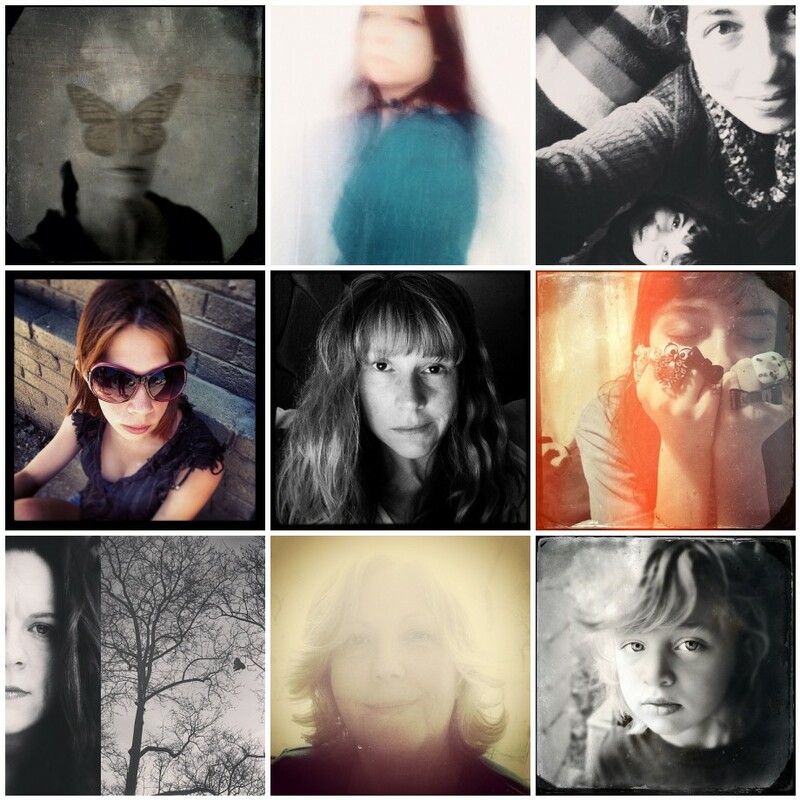 Thanks so much Holly for featuring my photo among these beautiful women. I love the uniqueness of each one of them. Such a surprise and honor to be included in this group of beautiful protraits. Love them all! Well done! I’m just tickled pink and honored to be included in this beautiful group of portraits. This is a beautiful and moving mosaic of shots! There is so much love and humanity in a portrait and all the portraits featured here certainly speak volumes of their subject.